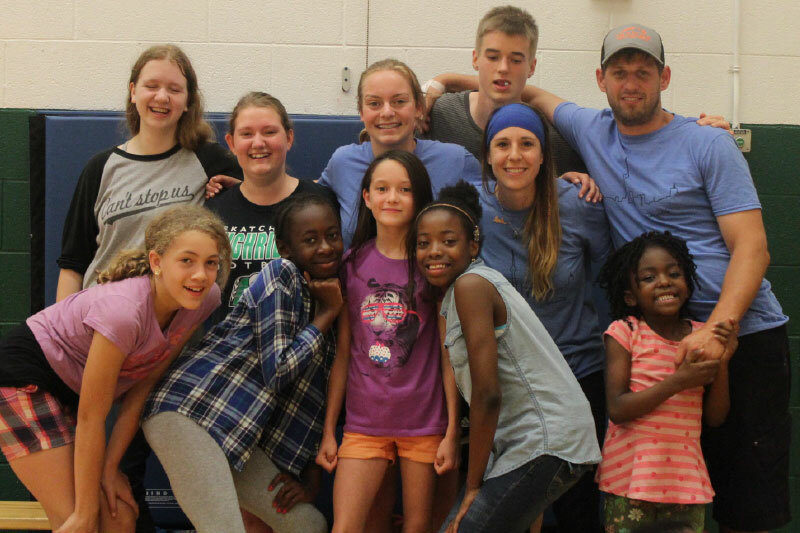 During Sonshine Day Camp every March Break and for 7 weeks during the summer, we need mission teams to help programs run smoothly and in order to have the greatest impact on the lives of the children. Enjoy the sites and sounds of Toronto, while giving kids the best week of their life. At least 14 years old or having completed 9th grade. If your church or group is interested in serving at a week of camp, please email Elliott. Pierson has been coming to Toronto with his church in Oklahoma to serve since 2014! What are your experiences volunteering with TCM? It’s been a blast working with these kids. This is my fourth year working with TCM. And coming up for two extra weeks has been amazing because the team here has been amazing, and so has the kids. Recount a great experience you’ve had. Some kids are pretty closed off and don't open up or shown interest in faith or anything like that. But over the years I’ve seen the kids change too - seeing them grow as people and in their faith. What are your future hopes for Kingston-Galloway? I hope the kids continue to grow and learn about how much Jesus loves them. I know some of these kids have rough home lives and coming here to Sonshine Day Camp, I hope it will show them that even though life can be hard at home, there are still people who care about them and even if no one’s there God will always be there for them. "This mission was a way for me to serve God away from church, but not away from home. I enjoyed getting to know a lot of the campers and had an amazing time overall!" "The children were amazing, the leaders did great, and the whole experience was a life-changing one. Some of our students even went back to the camps on their own to visit the children again."